I recently wanted to use SCCM 2007’s R3 Power Features, and needed to update a few clients to the latest agent version. Turns out, it’s easy to have the patch added during OSD. First, we need to find the Package ID of the SCCM R3 client patch. 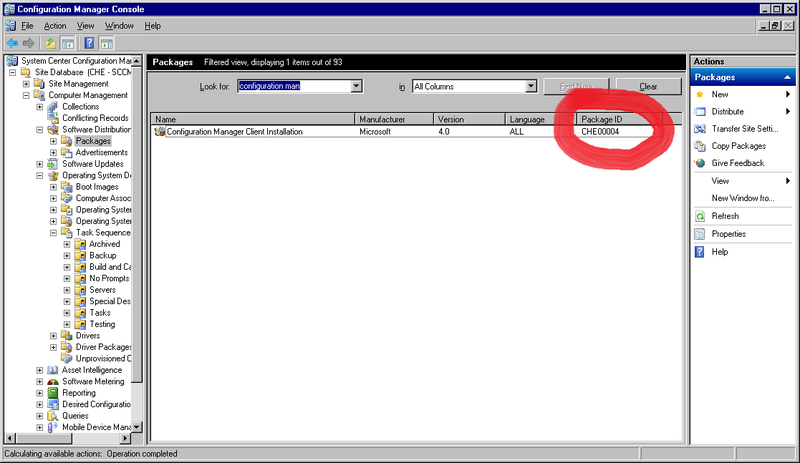 Open SCCM, navigate to Packages, and search for “Configuration Manager”. Note the Package ID. Now, your clients will be patched on deployment! Enjoy. This entry was posted in Management, SCCM, Updates by windowsmasher. Bookmark the permalink.